Over three centuries ago, humans arrived on the planet of Phenar claiming to be divine. Now the subjected Phenari are a divided people. Malthos, a clan chieftain who clings to the old ways, rallies his people to challenge the gods’ claims of immortality. His nephew, Tokara, is a young soldier devoted to the human god of war. Their beliefs cannot be reconciled. 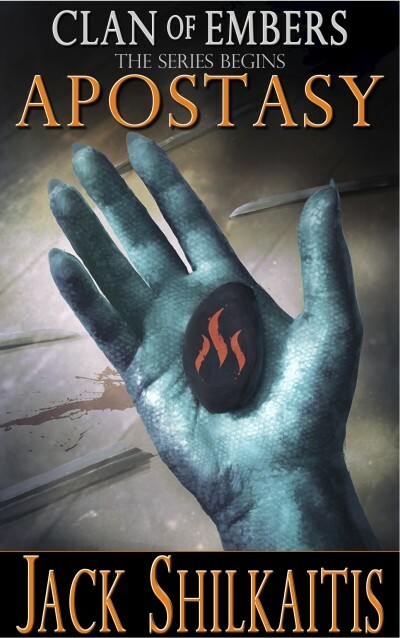 But Tokara’s faith is soon tested and he finds himself tempted to commit the ultimate sin, Apostasy.